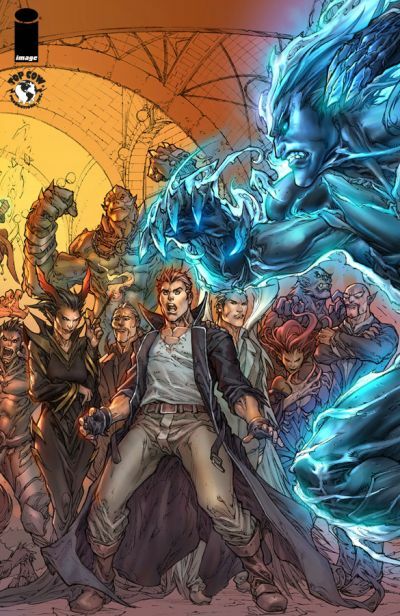 Berkeley, CA â€“ 22 June 2011 â€“ Image Comics, Top Cow Productions, and Heroes and Villains Entertainment proudly present a dark and intensely kinetic tale from writer Kevin McCarthy (Red Sonja, The Amazing Adventures of the Escapist) and artist Paolo Pantalena (What If? : House of M, War of Kings: Darkhawk). EPOCH, a 5-part miniseries beginning in August, will introduce readers to a whole new reality which pits one supernatural creature against another in a dangerous competition. As the story of EPOCH begins, NYPD Detective Jonah Wright’s world is about to change forever. A mysterious murder case that he has been investigating threatens to rip apart his reality, plunging him into the shadowy world of the supernatural. It appears that Bishop is fated to unlock a conspiracy that could tear apart the very fabric of society! EPOCH #1, a 32-page full color science fiction fantasy comic book for $3.99, will be available at a comic store near you on August 3, 2011.